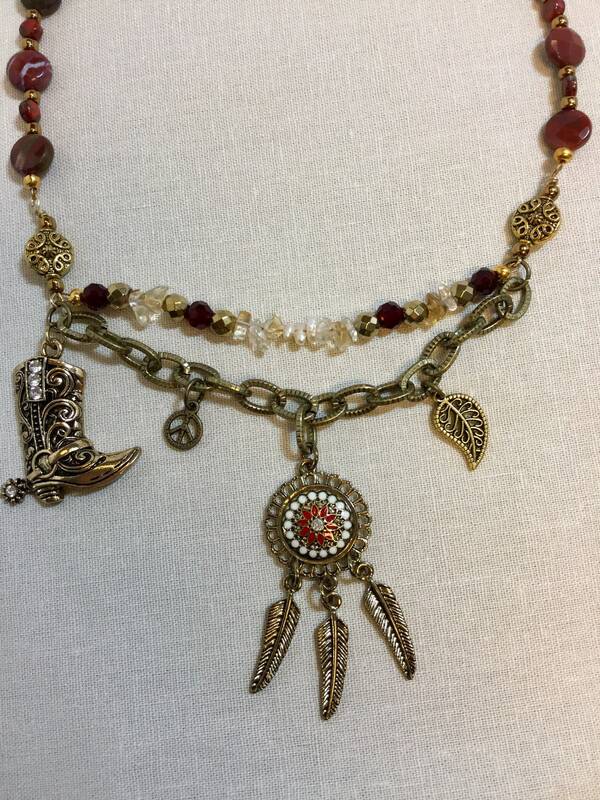 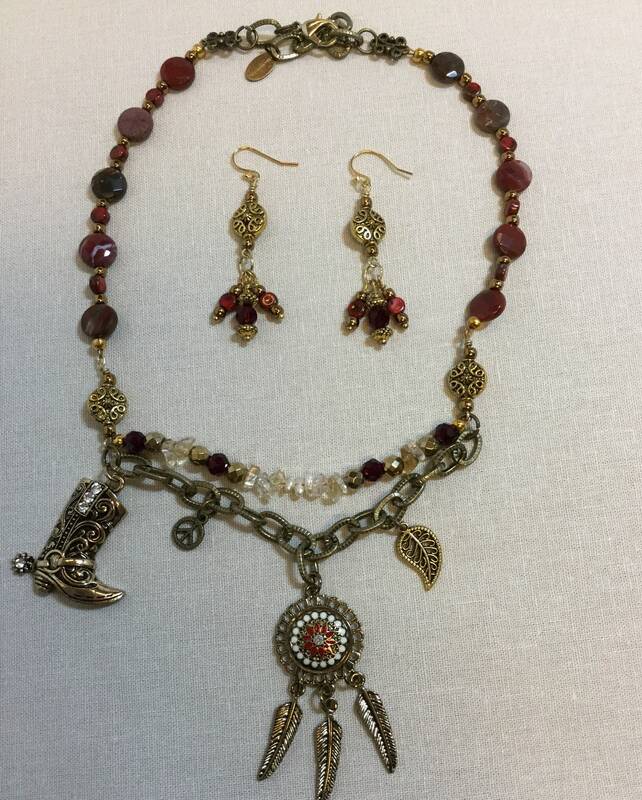 This Texas Hippie Chick necklace set combines a Dreamcatcher pendant with a cowboy boot and a tiny leaf. 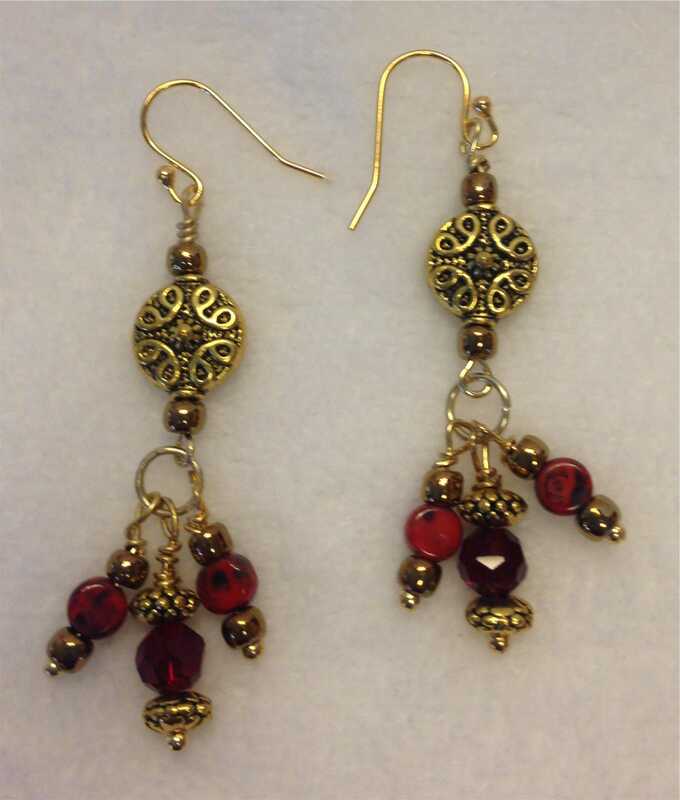 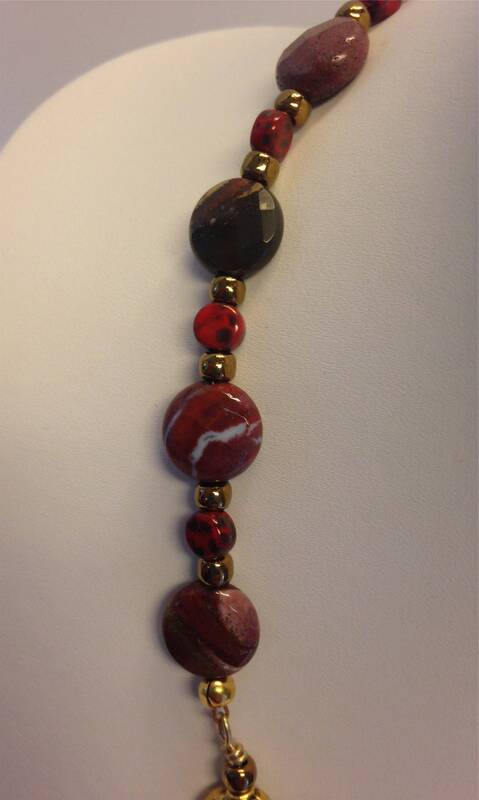 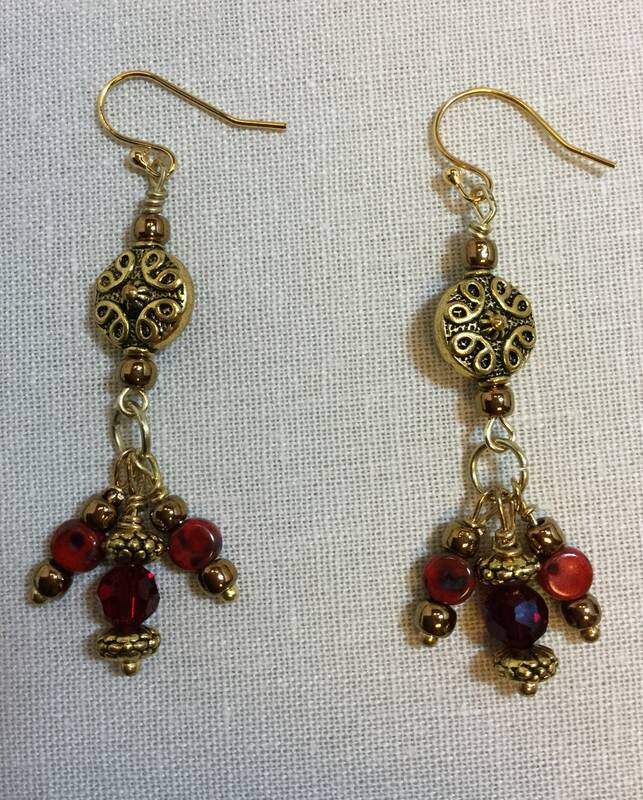 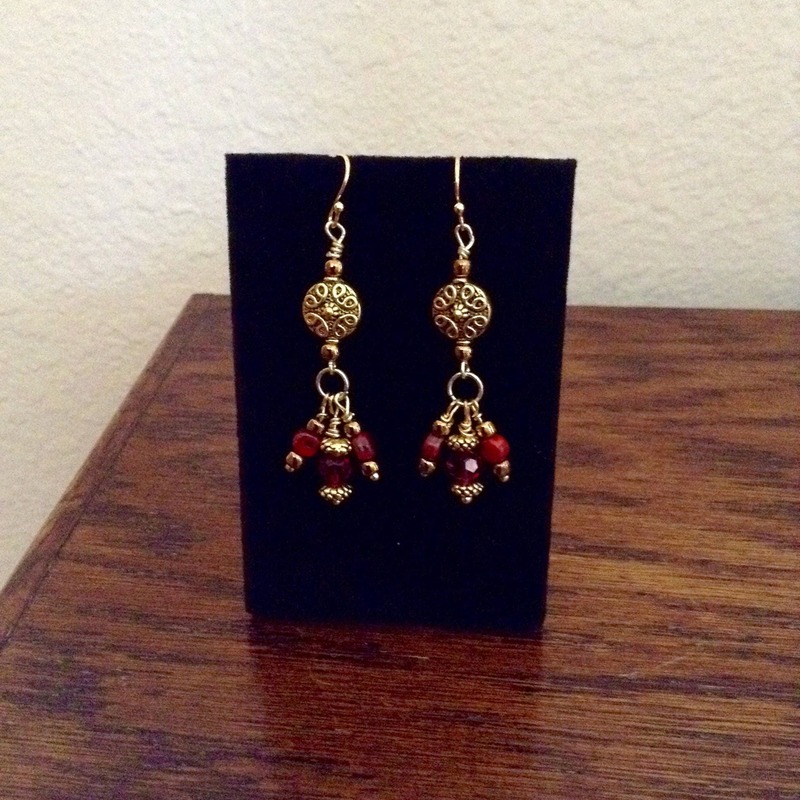 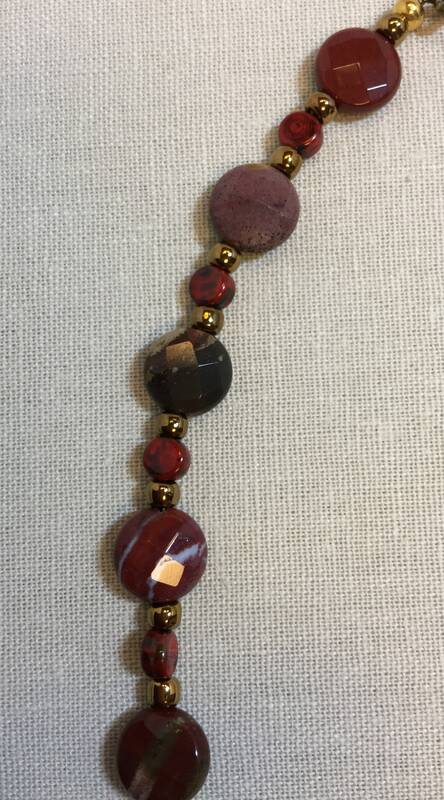 Jasper stones, tiny freshwater pearls, Czech beads, and citrine complement antique gold-tone connectors. 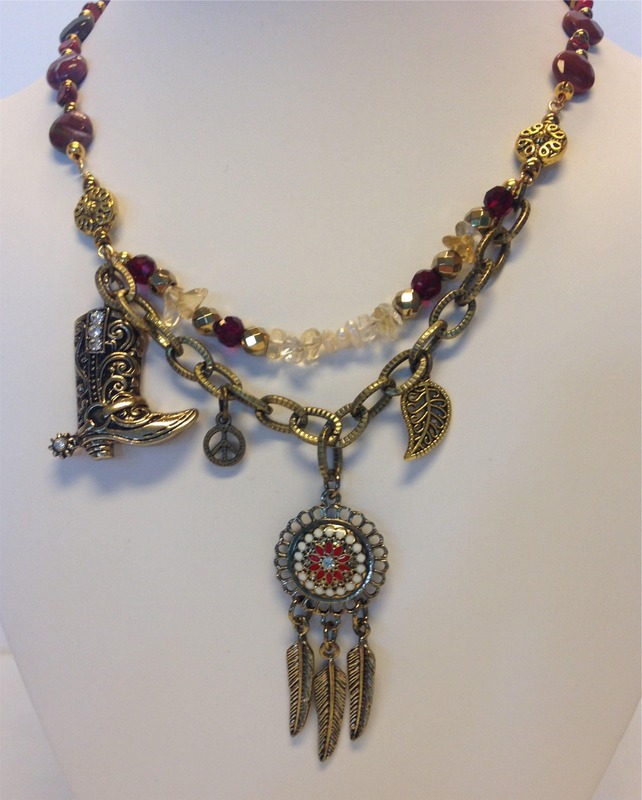 What are you wearing to the Rodeo next year?